I know, I know. 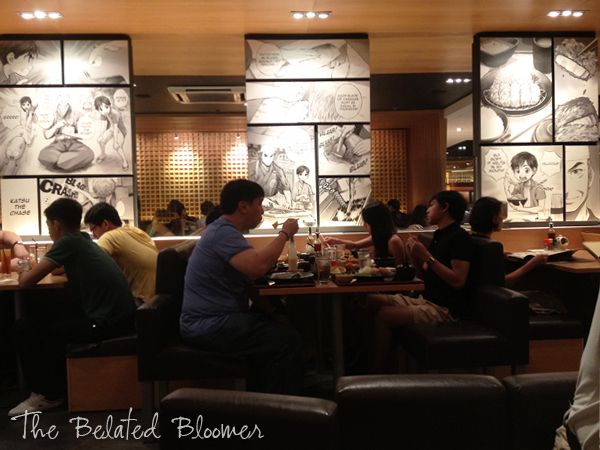 Almost everyone's eaten at Yabu. I'm guessing you were, at one time, one of those hungry faces waiting in line for a coveted seat and access to unlimited servings of cabbage. 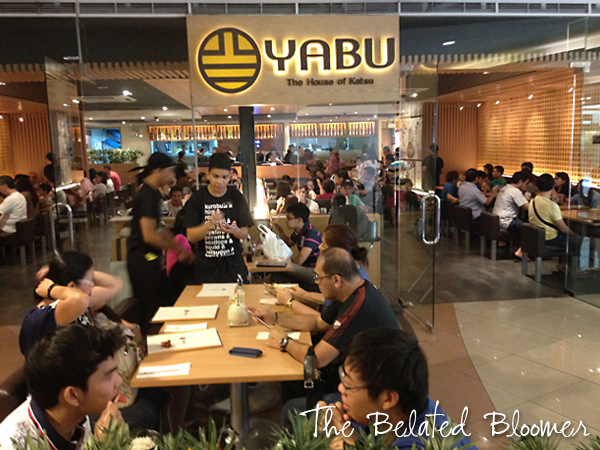 Being impatient when it comes to food, I was both drawn and repelled by the throng of people outside Yabu. You know that feeling when people flock to something or somewhere and you can't help but want to see what's going on? Let's just say my inner chismosa (gossiper) was getting the best of me. Last Sunday, we finally decided that if the food was as good as people say it is, then it's going to be worth the wait. Full House? You bet. We arrived at around 1PM, and we were still fifth in the waiting list. I was thinking the breaded delicacies they serve there must be that good. Unlimited servings of sticky Japanese rice and shredded cabbage for your side salad. I must've eaten a whole head of cabbage last Sunday. Their dressing was delish! The tray of condiments for your added pleasure. The bowl on the left holds the piquant brown sauce that you'll see below. The tall bottles contain their salad dressings. 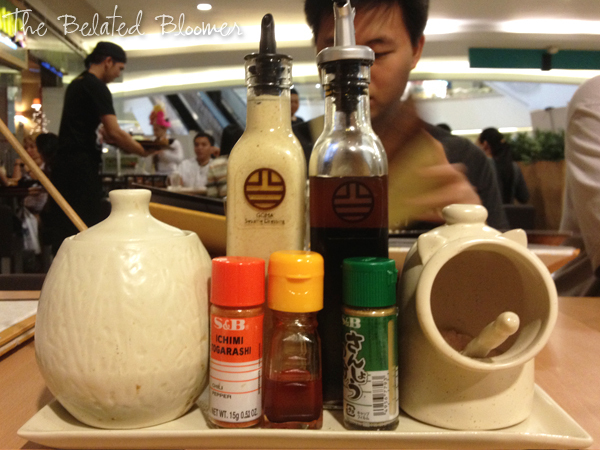 The smaller bottles hold the chili oil, wasabi powder and chili powder. The cute porky container on the right houses the salt. 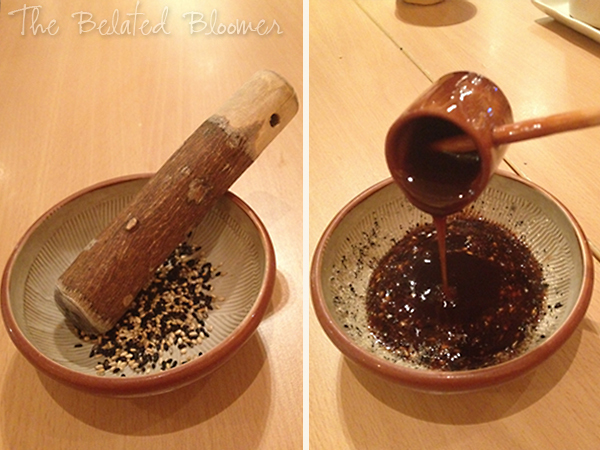 They gave us each a small dish of sesame seeds and a small wooden pestle. The dish has etched sides to which you can grind the seeds against. Instead of giving you sesame oil, they ask you to work for it DIY. Then you add the brown sauce that you can drown dip your Katsu in. I ordered the Chicken Katsu. 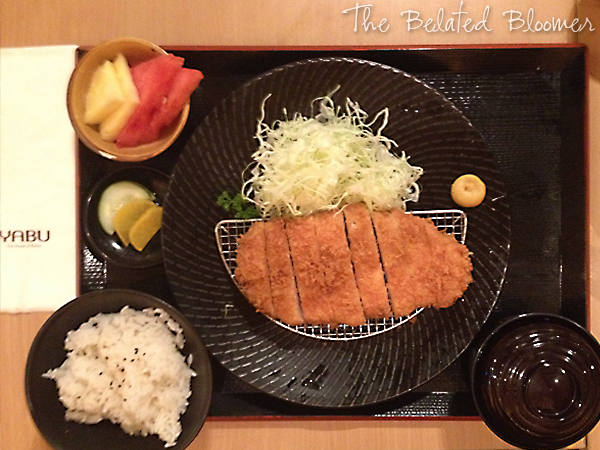 It's a thick fillet of Chicken breast (php360), juicy on the inside, fried to golden perfection outside. I had this for lunch and ordered it again for dinner. 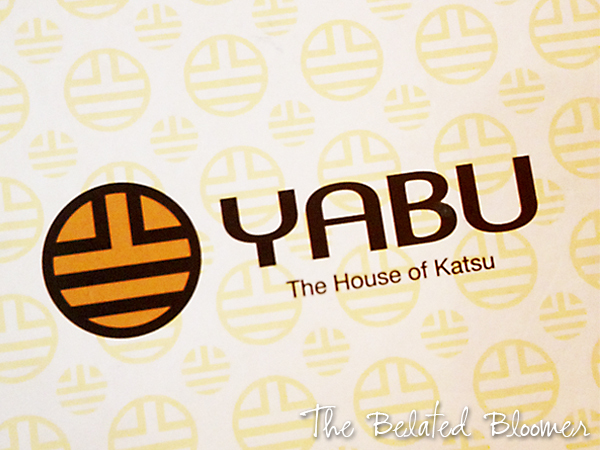 We actually spent the whole day in Yabu. Kidding...maybe. It comes in this set. Clockwise: Chicken Katsu, cabbage-all-you-can, a small drop of yellow Wasabi (perfect for unclogging noses), a bowl of hot Miso soup, Japanese rice, pickled radish and cucumber and a serving of fruit to end the meal. While waiting for the bill, I noticed the fun anime-wallpapered interior. (Yes, I only noticed it then because I was busy stuffing my face with cabbage.) 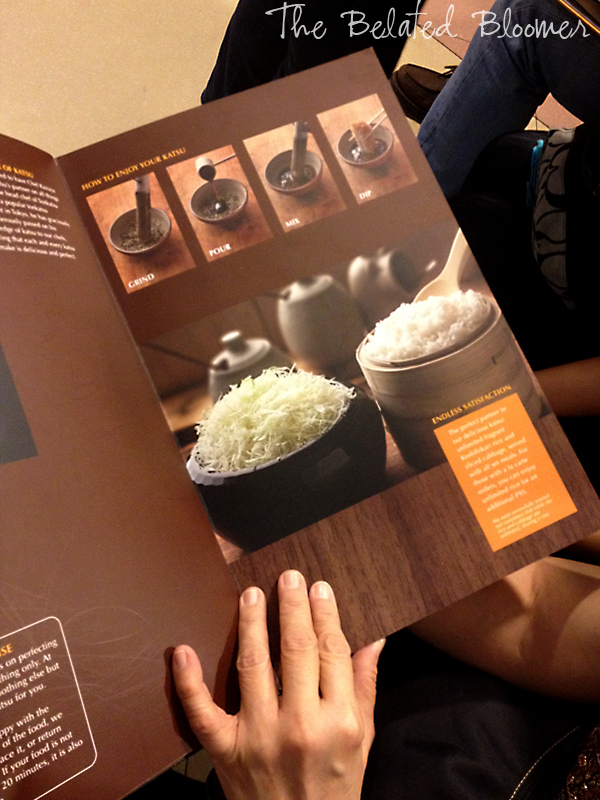 It tells the story of how their Pork Katsu came to be. Cute, isn't it? 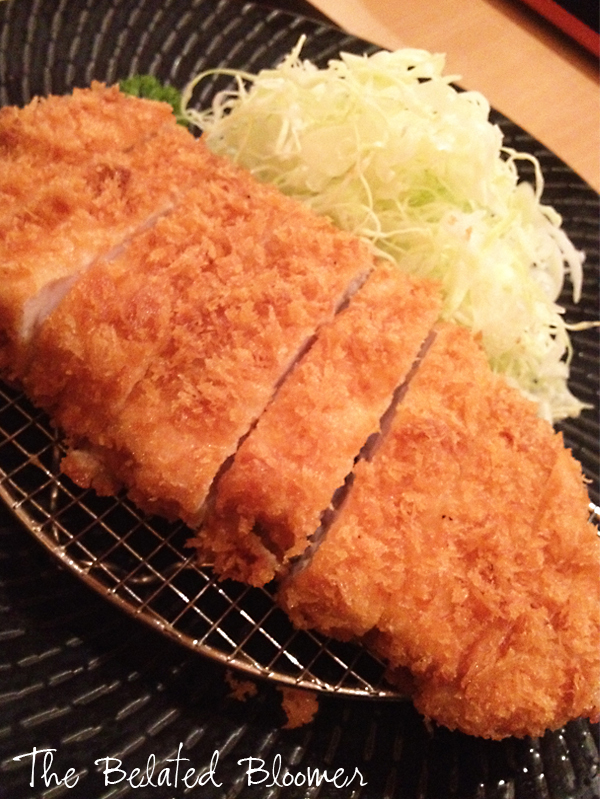 If you're into un-greasy, breaded and fried things, line up head over to one of the three branches of Yabu. I'm pretty sure they're going to be opening more branches soon because the people just keep on coming! I will! Haha! Babalik talaga eh! It is! :D They do provide good service though...it's just that there's almost always a line! Hwo cool and yummy! I love the wallpaper - I want some for my room! Amazing pics! it looks delicious! Oh my goodness, this place look amazing! !